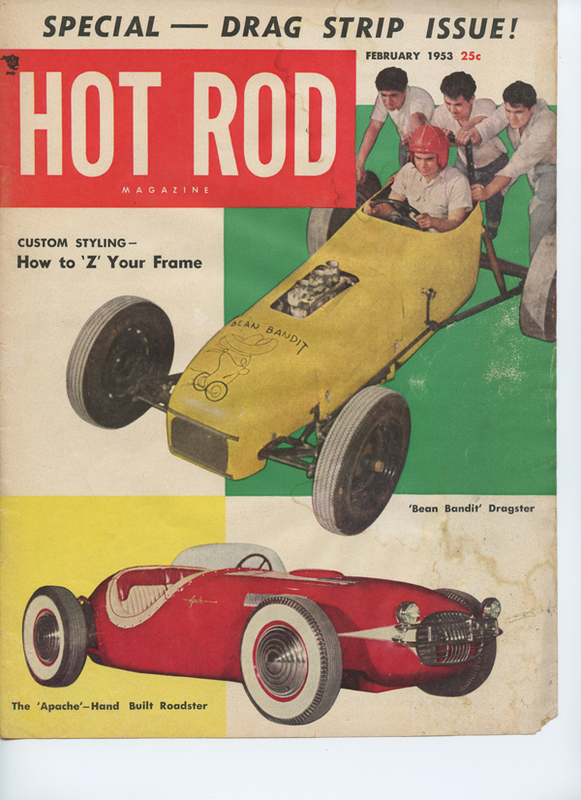 With the overwhelming success of the Hot Rod Hill Climb 60th anniversary events, Nick’s Hot Rod Garage is at it again! With a yearning to relive the early 50’s, the pioneering days of drag racing history, Nick’s feet hit the street on a hunt for an abandoned WWII airstrip. He found it all right. The air strip is nestled on the southern border of Colorado, in the town of Monte Vista. For 60 years the town has been home to the Movie Manor drive-in theater, but that’s just the chrome on the axle. The dirt airstrip behind the Manor is what Nick was after. The airstrip was carved into the valley in 1931. It served as an auxiliary airfield during the war, and during the 1980’s hibernation set in. Seems like a good reason to throw another 60th anniversary party! This year at the Movie Manor! Join us in waking the dirt June 1-3, 2018. Bring your 1950’s vintage bobber, hot rod, or custom and help set the scene for what is sure to be the best Traditional Hot Rod Event west of the Mississippi! 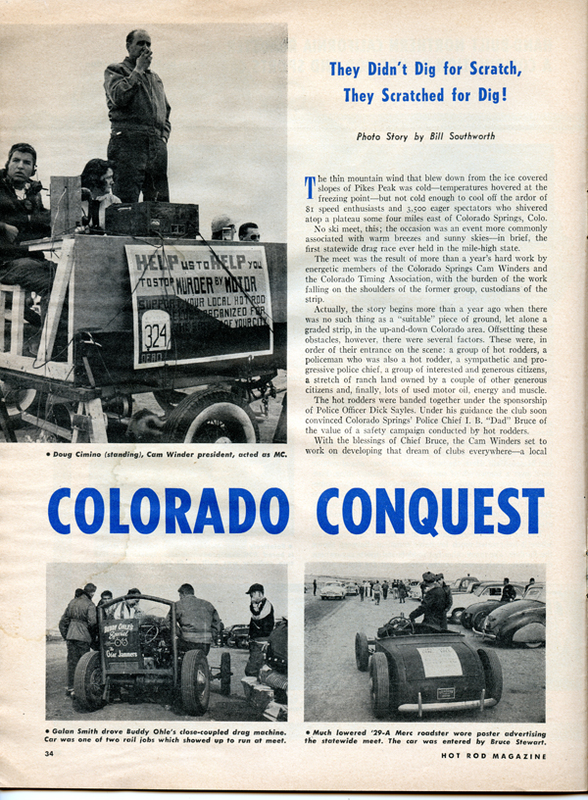 Colorado had many dirt drag strips, the most successful was the Pikes Peak Timing Association’s track, operated by the Cam Winders car club. The strip was east of Colorado Springs. It opened in 1952 and ran until 1959. The Kenz and Leslie team raced there many times during those years. 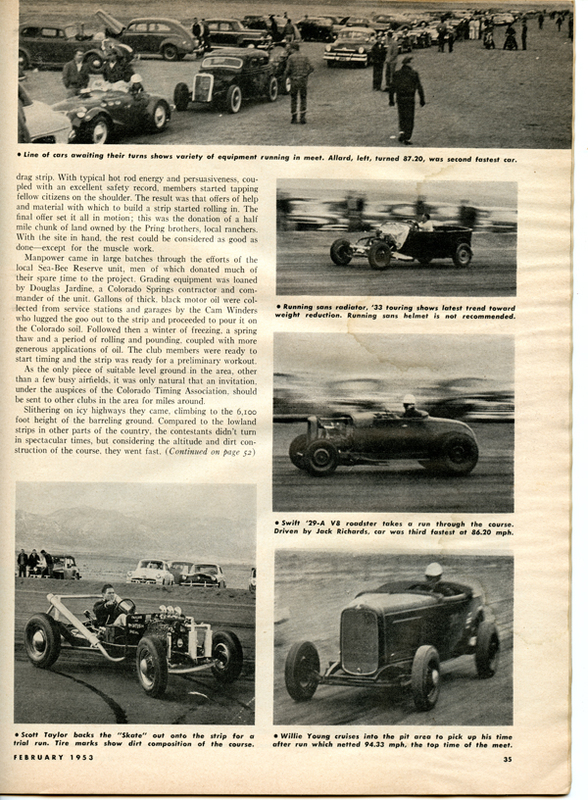 The club collected waste motor oil from service stations in an old water truck then “Oiled” the track provide better traction. 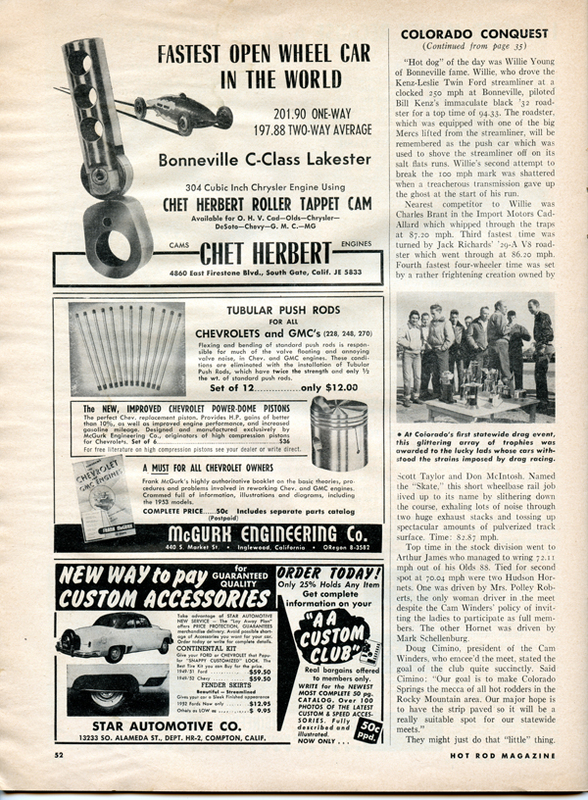 The track was documented in the February 1953 HRM. Boulder Timing Association had its own Dirt Strip just north of Boulder. 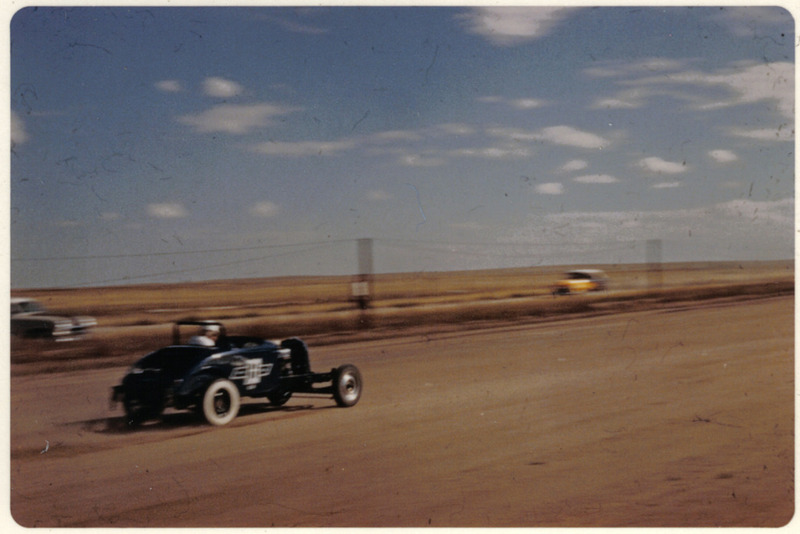 Pictured below is Cal Kennedy and Don Scroggs campaigning the Wayne 12 port Chevrolet T-33 racer at the track circa 1954.